A versatile showcase that has proven reliability and flexibility time and again. 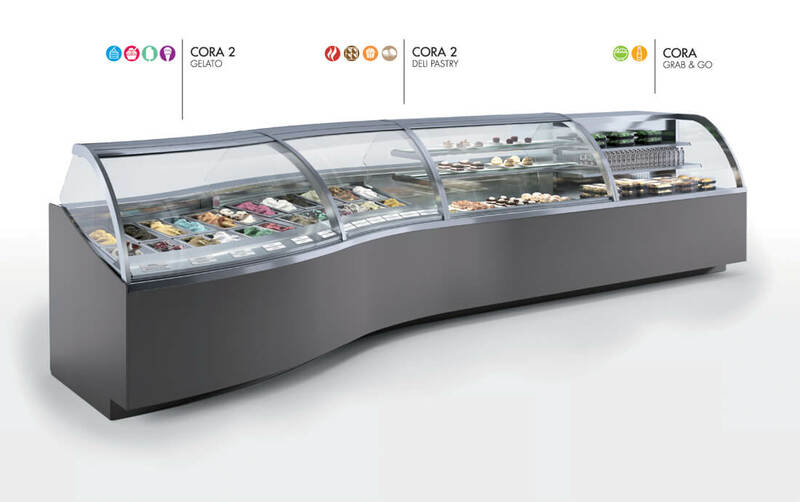 Available in a variety of applications including Pastry, Deli, Chocolate and Gelato Ice cream with storage in linear and curved option. Comes with hydraulic lift up glass, chrome covered pistons and Pyrolytic heated glass to prevent fogging. LED lighting is standard.